Listing the best singers ever is an impossible task. But I’m going to try anyway. You may remember that I mentioned that I wanted to learn how to sing. 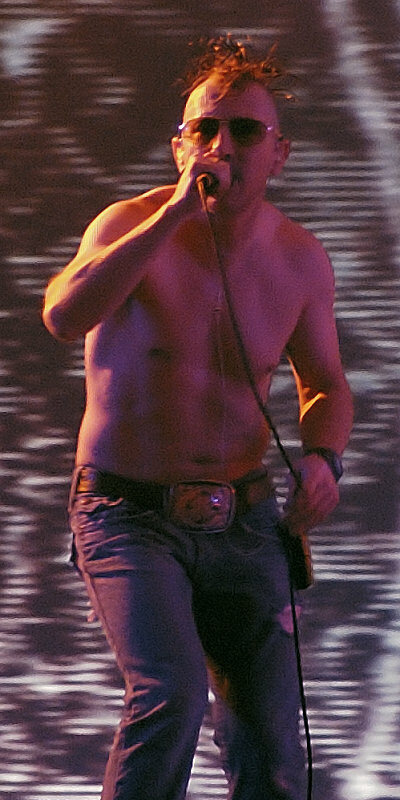 Specifically, I want to learn to sing like Maynard James Keenan from tool. He, along with rappers like Dr. Dre and many others I’ve previously mentioned, shaped much of my youth. For that reason I want to sound like him. But if I had to list the greatest singers of all time, I don’t think he would make it on. He is my favorite, but he is not generally considered one of the greatest ever. Even among the singers that are generally considered the greatest, it is impossible to pick the best and not have most people disagree with you. Then you also have to take genres into account. Are we talking about the best rock singers or the best opera singers or the best country singers? In my case, obviously, we’ll be talking about the best rock singers. We might add pop to the mix, but personally, I don’t feel pop singers are generally very good. Anyway, let’s get started. This list will be in no particular order, so don’t read too much into Freddie Mercury being the first name on it. That said, most do consider him perhaps the greatest singer ever. He had an incredible vocal range, he was amazing live (something many singers struggle with) and, perhaps most notably, he had a stage presence that puts him above just about anyone else. 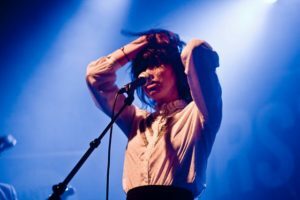 There are other singers with one of these qualities that are great, but it is very rare to have a singer who excels at everything. Freddie Mercury, the lead singer of Queen, is one of those rare people. I know that many wouldn’t consider him among the greatest singers, but his body of work earns him a spot on this list. And, let’s be honest, he is a great singer no matter how you judge great singers. I remember when I first started getting into David Bowie’s music. I realized that I had actually heard many of his songs before. I just didn’t know they were by him. That, to me, is truly the mark of a great singer. You know his work without even knowing that you know his work. I’m putting Chris Cornell on this list, not because he recently died, but because he is an amazing rock singer and one of my favorites growing up. I especially loved him with Soundgarden. But that’s not saying much. Everybody loved him in Soundgarden. He has, sorry had, a huge vocal range and he sings with a ton of emotion. That is very important. Moreover, he generally sounds great live as well as on studio albums. Layne Staley was the lead singer of the grunge rock group Alice in Chains. He, like so many of his peers, died prematurely. In fact, three of the top four grunge acts had their lead singers die early. Nirvana, Alice in chains and Soundgarden all lost their singers, although the lead singer for Soundgarden, Chris Cornell (who was mentioned above), lasted a bit longer than the rest. Layne Staley was famous for having absolute perfect pitch. It’s like he never missed a note. But more than that, he infused so much pain and suffering into his voice. It helps that he experienced all of that pain and suffering himself, but many others do that as well and they are not able to transmit that to their music. He could, and he did it better than almost anyone. For that reason he is on my list, even though many would not put him on their list of best singers. I decided to add Stevie nicks, who was a singer with the group Fleetwood Mac, but also did a lot of solo work, because she shaped the way rock ‘n roll musicians who are women would be in the industry. She had an amazing voice and an even better stage presence, but more than anything, it was the fact that her personality led the way. She was a cult figure and still is. For this reason she definitely deserves a spot on this list, even if there are probably better female singers from a technical standpoint. If my list were longer and had more time to think about it clearly, I would definitely add many other singers to it. But it’s not and I don’t have the time, so this is it for now. Please let me know in the comments below how much you disagree with my choices. I know it will be a lot. As you know, I’m a huge fan of old-school rap music. I love Dr. Dre and the rest of the NWA crew. I also like A Tribe Called Quest, Pete Rock and CL Smooth, NAS, The Wu-Tang Clan and many, many more. I grew up with this rap music and just like the rock music I grew up with from the 80s and 90s, it has stuck with me throughout the years. A lot of people have taken famous rock albums and re-imagined them using classical instruments. There are Metallica albums that have been redone using only the cello and many similar projects. Of course there is also the famous Metallica album that they did along with a full orchestra, with violins, cellos and everything else that goes along with it. I want to do something similar. I want to take a classic rap album and redo it using only the violin. Obviously my new idea is not really that new. But it’s something I want to do and I think it’s cool. And instead of doing this with rock music, I decided to use rap music. That might be a bit more novel of an idea, no? I haven’t decided on the album yet, but I’m thinking maybe something from Wu-Tang Clan. Probably their first album, since it is better. The only problem there is that the production quality was not all that great. Okay, not the production quality. That was wonderful. I mean the sound quality. It just doesn’t sound as good as their second album or really most albums. Despite that, I think I’m going to use it anyway. What I’m looking to do is basically replace the beats using only the violin. The problem, obviously, is going to be the bass. How do I get the bass sound with the violin? I might have to use a cello or a similar instrument with a deeper sound, but I’m thinking of ways to avoid that. Maybe I can use the violin, but just play it like a drum for the bass parts. I don’t know yet. The other parts, though, I can play with the violin. Don’t you think that sounds cool? Having this all-violin beat and then superimposing the Wu-Tang’s great raps on the top of it. Why the violin you ask? Honestly, I don’t really know. I did learn the violin a little bit when I was a kid, but I quickly switched to the trumpet. I don’t even know why, I just found it cooler at the time. These days I still occasionally play the trumpet, but I haven’t played the violin in years. Maybe that is why I’ve chosen to do this with the violin. I am just looking for an excuse to pick one up and play again. And it’ll probably take me a little bit of time to get back into it, but since I’m emulating a rap album, I don’t really need to be too great at it, do I? I really just need to master a couple of riffs. That is the main advantage of going with rap music. It is very repetitive. I realize as I’m writing this, that this probably sounds like a stupid idea. But I think it’s fun and anything fun really can’t be seen as stupid. I know no one will buy this, and I don’t even have the rights, so I can’t ever even sell it or publish it anywhere. It’s just a little project for my own enjoyment. Just something I want to try. Let me know what you think of this. 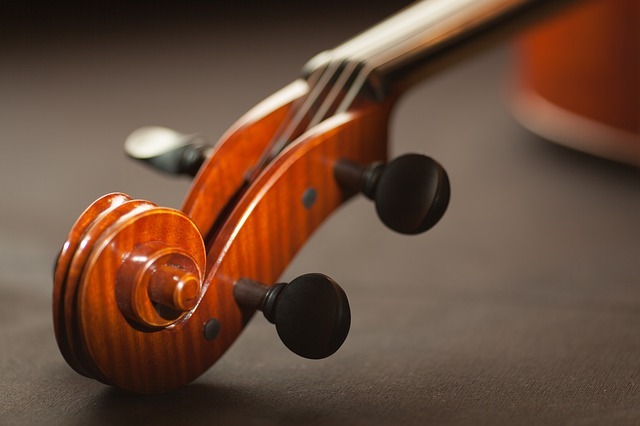 Do you think the violin is the right choice of instrument for this or would you rather see me use a different instrument? If you were doing it, what instrument would you use? Would you even use rap music? Or would you use some other genre of music? Let me know your answers. I’m really curious to hear and you input might actually influence what I end up doing with this project. America’s club scene has come along away, from the times of Dacenta to the birth of after-hours-parties to the modern age of the music DJ cash kings like Calvin Harris and Afro Jack. Forbes estimates that the top 10 clubs in the USA have an estimated annual revenue of $550 million. Some of the top notch DJ’s like Skrillex owe all their success to the rise of electronic dance music and the clubbing extravaganza. So, If you are trying to find a place to go out, the choices can be mind blowing and torturing. This is a list of 4 of the top clubs in the world, with three in the US and one in South Korea. The list is based on revenue the club generates, music, DJs’ popularity, uniqueness, following and much more. This is the list of top 4 clubs in the US based on music, design, polarity and following. Opened in 2012, the club is the place to be for big names in the DJ business like Adam X and DJ resume – it is designed to give you the mood of a classical – tropical fantasy with a large dance space. It has an in-house setting of the famous Bushwick scene. It sets itself apart from the competition with legitimate sound systems and many underground electronic DJs. If you are in the dancing mood and in New York, Bossa Nova Civic Club will feed your appetite for dance. HAKKSAN secured its spot at number 7 in 2016’s top 100 clubs in the world. The clubs puts music, gambling and dance right at your mouth. 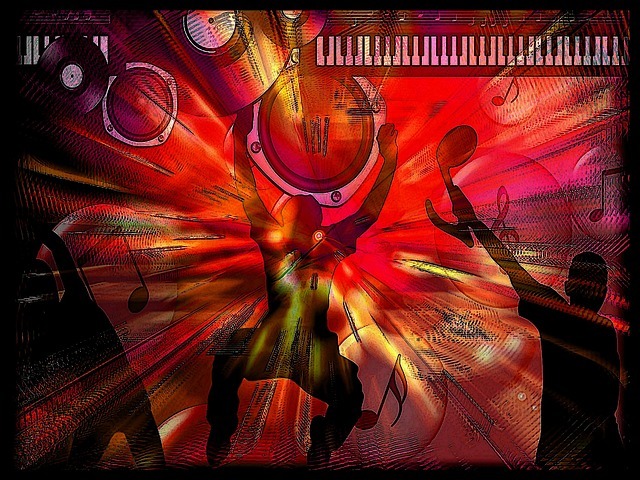 It is the most favored club among the millennials for music. It attracts celebs like EDM glitterati and electronic music cash kings like Tiësto and Calvin Harris. At least once in a month the odds of catching the likes are high Afrojack and Hardwellm is really high. Last year an extravagant party was held at the club to celebrate Afrojack; crowned No.1 best DJ 2015. The club is based in Las Vegas. This is a great place to hear singers, too, for anyone wanting to learn to sing like me. A roof top club. Looking for adventure and a classic movie scene experience? DRAIS Is the place to be. The clubs sits in the heart of Las Vegas city. The club facilities sit on a 35,00 square area in Sin city’s Conwell Hotel overlooking the famous Las Vega strip. The club lays claim to the title of ‘the only club with a two-level pool deck on its roof top.’ It is an in-house for big names like Dj Savi, Peace and Helena. During the day, bikini-clad women splash the in pool; by night, you have a wide variety of adventure, music, dining, drinks and gambling. An underground club. The club is famous for hosting one of the big names: Psy – with more than half a billion YouTube views. Octagon is located in what used to be an underground karaoke bar. It is popular for being a rave cave for teenagers. 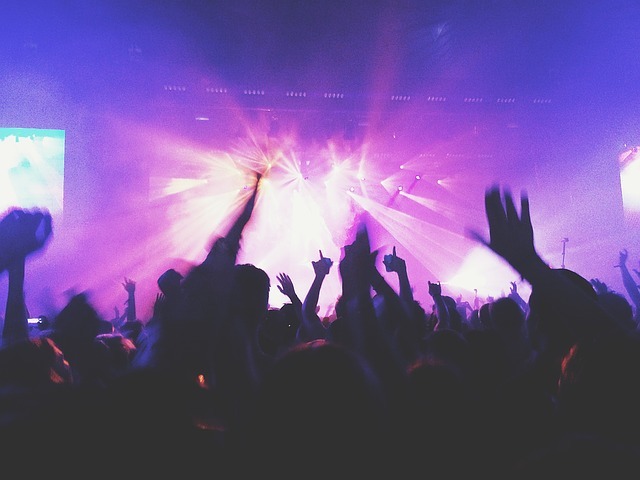 It gives you an experience of music, drink and dance with a warehouse rave- party. It is an in-house for names like AK, Daishi Dance, and top DJ Beejay. Whatever your favorite DJ clubhouse is, we can agree that the above-mentioned are a cut above the rest. This is not only for the ambience but also for the caliber of the DJs they hire. Becoming a DJ is a dream of many young entertainers, and it certainly has the potential to be one of the most fun occupations out there. If someone wants to be a real DJ, the most important skill they can learn is how to use turntables. It takes some practice but, once this skill is mastered, anyone can find success as a professional DJ. The first thing to do when starting with turntables is to learn how to properly set them up. First, the turntables need to be properly connected to the input on the mixer. Then the DJ must choose the record speed, which will be either 33 or 44. If they are unsure what speed to choose, they should look at the record’s label for an indication. The next important step in using turntables is adjusting the pitch and the tempo of the records. Properly adjusting the pitch will allow the DJ to smoothly bled two songs together to create a new sound. It will also help them to seamlessly switch between two songs using their mixer. The trickiest skill that a DJ needs to learn for success on the turntables is how to press lightly on the record to stop it without stopping the turntable. This allows them to start the record again without having to wait for the turntable to start up. This takes a great deal of practice, but once a DJ has it down, they will be able to mix any song they like successfully. If someone wants to become a professional DJ, their first priority needs to be learning how they can use turntables. They are perhaps the most important piece of equipment for DJs, so the time and effort it takes to master them are well worth it. With a bit of practice and patience, anyone can start their own successful career as a DJ. Using a turntable gives you the ability to change the pitch, tone and speed at which a record plays. This then allows you to be very creative. 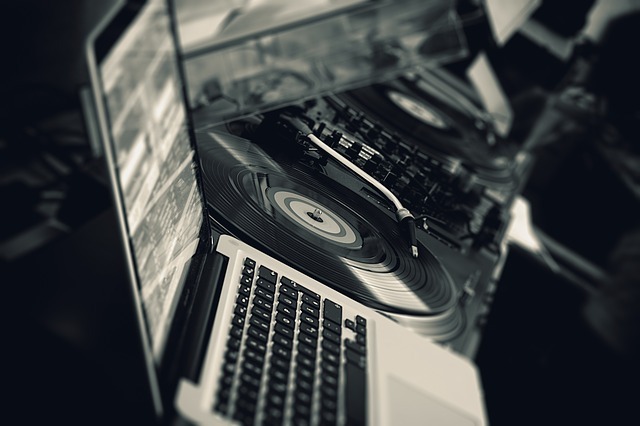 Being creative with these attributes of turntables will separate yourself from other DJ s. Changing these qualities or a record can create a wide variety of beats, sounds and rhythms. Trying to explain how exactly one uses turntables can be difficult. There is a significant amount of information. If you are new or wanting to know how turntables are used, research and education are two key components that will guarantee you success. Having patience and practice are also contributing factors to the understanding of this skill. Besides all of those requirements the biggest would have to be rhythm. Rhythm either comes naturally or not. If you don’t have rhythm you will have a very hard time trying to master turntables. The reason you need to have rhythm is because moving a record back and forth, know as scratching, as well as adjusting tempo,pitch,beat and volume all has to be done quickly and seamlessly. This will make you a very successful DJ. However, if you don’t have any rhythm that you know of or have never tried using turntables, give yourself a chance. Knowing how turntables are used is a battle. Trying is half that battle. Remember that every DJ is bad a first. Even if they tell you otherwise. Not giving up and working hard always pays off. One of the first questions a prospective DJ will have is, “How will I get my DJ gigs?”. For many, this will be the most difficult part of being a DJ. But if the correct steps are followed it will be easy to find more than enough DJ gigs. The first step a DJ needs to take in order to secure a gig is to record a large number of promotional CD’s or digital samples. These samples or CD’s must be distributed to as many potential venues as possible. These venues can include night clubs, wedding locations, and event locations. Make sure the manager of each venue is the recipient of the promotional sample because he or she will be doing the hiring. Also, when advertising to clubs be generous with your samples. Many of the clubbers may either be connected to the management or may recommend your sample. As a new DJ, many clubs will already have a main DJ. This will leave the busiest days of the week reserved for the main DJ. But the club manager may offer spots on some of the slow days. This might not be appealing, but it is usually the only way to build a reputation and earn a spot as a main DJ. Also, any practice you can get in front of a live audience is experience that will only add to your value as a DJ. Please don’t feel limited to these options. But they are great places to start advertising yourself as a DJ to secure your first gig. In addition to the promotional samples, a new DJ can advertise a number of other ways. Business cards are a cheap and effective way to advertise your services to many people. We also live in a time where the internet is responsible for a large portion of the business world. Some ways to advertise your services online include: Craigslist, website creation, social media, and review services. A great, but often overlooked, place to advertise your DJ services are radio stations. This does not necessarily mean being a radio DJ is the end goal. But many radio stations will offer DJ guest spots. One of these guest spots can advertise your services to thousands of listeners. In some situations a radio station will allow the DJ to mix and spin during their time slot. This leaves listeners with a free live sample of your services. One guest spot could results in dozens of DJ gigs. Plus, you never know what famous producer might be listening. Once your first gig has been secured your reputation can begin its formation. Your reputation is a valuable tool that can be used to secure many future DJ gigs. After a client is satisfied with your performance it is a good idea to give him or her your business card and express that you are open to any other potential clients that can be sent your direction. By word of mouth this one client can turn into a spider web of clients. But, in the end, the main ingredients needed to secure DJ gigs are good content and persistence. And perhaps one day, you will be playing the most famous clubs in the world. Good luck and happy spinning! I have chosen to devote most of my Saturday and Sunday afternoons to browsing in vinyl stores. The last time I checked in one of my favorite vinyl stores, I felt an exhilarating sense of space that calmed my nerves as I sat down browsing on some of the classics that have often rocked my world. That is why I have resolved to explore whatever store that crosses my line of sight. I just love discovering old albums from some of the greatest singers of all time as well as virtually unknown artists. The year I turned 13, my aunt allowed me full access to her entertainment room where I began frequenting to sample the varieties of jazz and rock vinyl records. Lately, I have noticed that I am always gripped with profound nostalgia whenever I set my eyes on some of the rock vinyl records that always defined those cool moments in my aunt’s house. My experience in a well-stocked vinyl store is not quite different from that of a toddler in a toy shop. The reason I love browsing in a vinyl record store is that I find it quite convenient to find the most important details of my music searches. The wide range of record collections require some time and effort, which makes it necessary for me to visit the stores as often as possible. A search through the vinyl record varieties usually feels like a recollection of some glorious past. I sampled the Eagles, Pulp Fiction, Hunky Dorry, Hotel California, and Bob Marley and the Wailers when I visited the store last weekend. One good thing about vinyl record stores is that you are always assured of friendly help from vastly knowledgeable dealers. I do not dispute the fact that music is always great in whatever form that we get it. Nonetheless, I hold the view that vinyl records have a unique form of authenticity, which may not be found in any other way. The idea of originality seems to sound real when thought together with the merits of vinyl records. The records are all designed with great flourish. 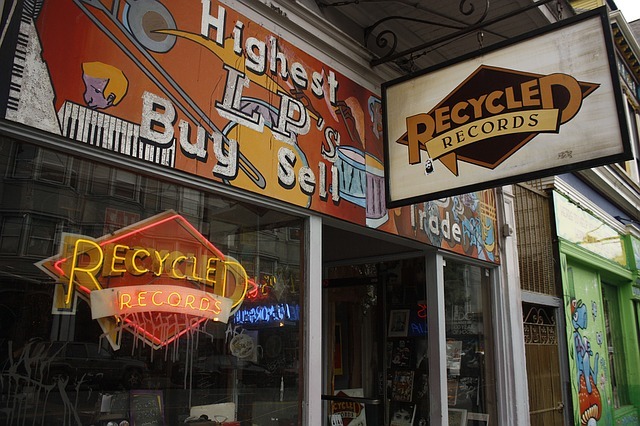 Music enthusiasts with a sense of style should find time to browse in vinyl record stores in their backyards if they wish to connect with the inspiration of rock, jazz, or reggae as originally intended by the producers. Listening carefully to the harmonics and distinct beats of the records should help you understand why the saying that old is gold remains relevant today. One of the outstanding merits of browsing in a vinyl record store is that you get precisely what you see. Every record that you need is right there on display with very impressive aesthetics. If your intention is to make a comprehensive shopping list for your holiday music needs, start by visiting a reputable record store near your home. Ultimately, a good vinyl record store is the place to be if you are looking for a fully immersive entertainment experience to indulge your fancy. Make your life easier and merrier by finding the best stores with the most popular collections for brightening all your free moments. And you always remember the moment you first hear your favorite album on vinyl. When I first heard Aenima by Tool, I was blown away and I want you to have that same experience. Andre Romelle Young popularly known as Dr. Dre has charted the course of his music career with extraordinary energy and passion. With style and flourish, Dr. Dre has guided a generation of young and innovative hip hop stars in America to the summit of stardom in both music and entrepreneurial ventures. He ranks near the very top on my list of favorite music producers. I love Maynard James Keenan from Tool as well, but I like him more for his singing ability. though he is a great producer, too. Dr. Dre was born on 18 February 1965 in Compton, California, USA. He grew up amid the violence and poverty that roiled his neighborhood to become one of the most committed hip hop producers in the United States. He combines the skills of a rapper, record producer, songwriter, and entrepreneur with admirable harmony and devotion. Dr Dre performing. Photo by Jason Persse. Dr. Dre initially attended school in Vanguard Junior High School within his Compton neighborhood. However, he had to shift to Roosevelt Junior High School to escape the gang violence that often lashed through Compton. He nurtured his passion in music and entertainment while in high school after failing to qualify for an aviation course for which he aspired. Gradually, the youngster who would transform into a prolific producer began frequenting at a club that was popularly known as Eve After Dark to witness up-close the live performances of various rappers and DJs. It was here that he began honing his skills as a great mixer and master producer. What distinguished Dr. Dre from other musicians of his time was his strong belief in the virtues of hard work and dedication to a noble course. Despite the challenges he faced in school life, Dr. Dre held a firm belief that his life and the lives of others of his kind could improve tremendously if they chose to invest in the music industry with some zeal and honor. Today, this distinguished producer has a special place in America’s music history as the first hip hop billionaire. He founded Beats Electronics and Aftermath Entertainment. 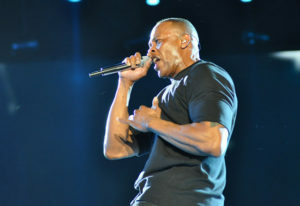 Previously, Dre co-owned Death Row Records and also performed as an artist while at its helm. Apart from hip hop, his other genres of specialization include gangsta rap and g-funk. Top-ranking rappers such Cordozar Calvin Broadus also known as Snoop Dogg and Marshall Bruce Mathers, popularly known as Eminem are some of the stars who have lavished praise on Dr. Dre’s positive influence in their careers. In songs such as “Still Dre,” “I Need a Doctor,” and “Forgot about Dre,” these rappers extol his unique leadership style and outstanding talent in music. Other great musicians who credited Dre for their steady rise in music include Tupac Shakur, 50 Cent, Xzibit, Kendrick Lamar, and The Game. Rarely has the great composer been caught up in some of the scandals, or acts of violence, which often derail the life and progress of many promising stars in contemporary music. He also influenced some really out there projects in music. Dr. Dre remains a great inspiration to many budding hip hop stars not just because of his talent in music production, but also on account his soft power on the music scene. His willingness to groom upcoming artistes and offer material support are sets him apart as a truly resourceful figure in the music industry.